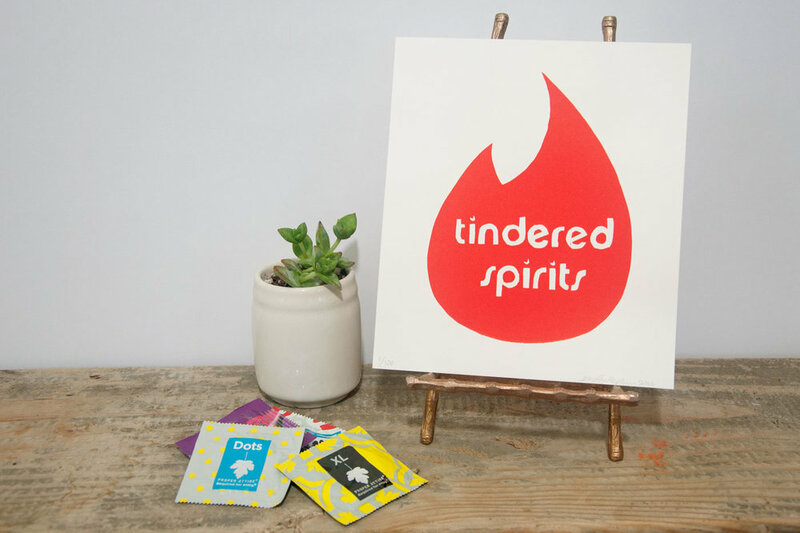 TINDERED SPIRITS is a project that started in September of 2015 as a multi-purpose social experiment. 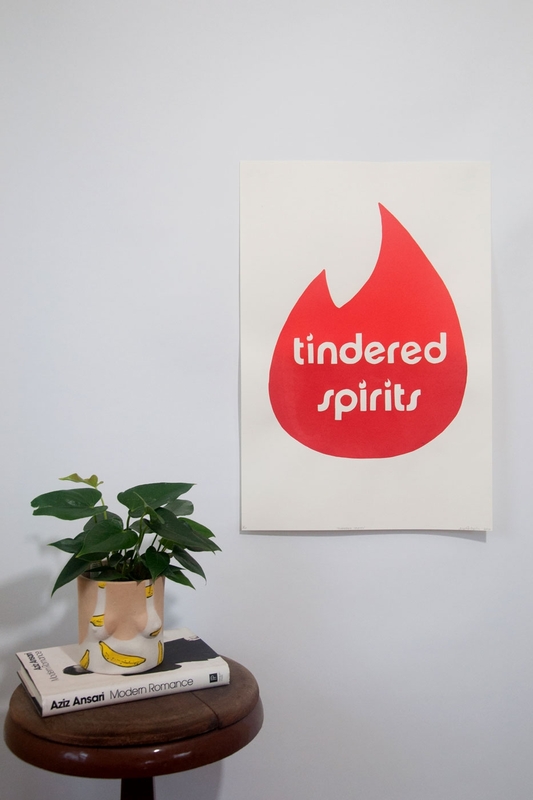 One part of this project acts as an extension of the zine Lifestyles Unlubricated (created with Portland-based artist Leslie Vigeant), and the other part is the hilarious - and precarious - choice to foray into the world of online dating for the first time. 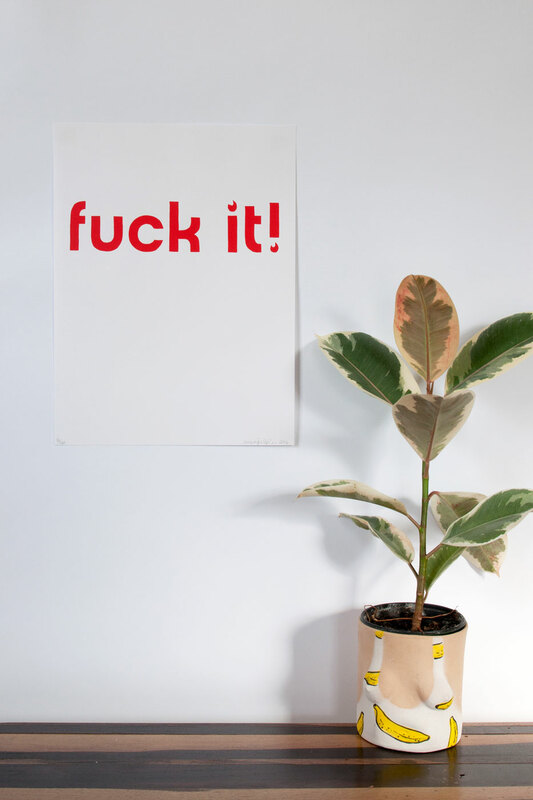 These limited edition prints were created while at Wildcraft Studio School during a two-week residency in August 2016.